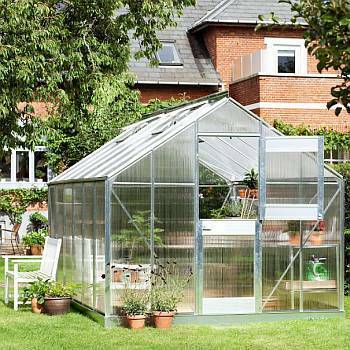 Do you long to cultivate your own plants in a greenhouse, but fear that your yard is too small to support one? 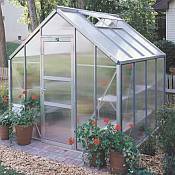 Enjoy the advantages of greenhouse growing no matter what the size of your yard. 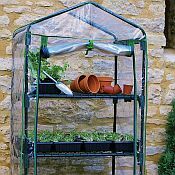 With one of our many Greenhouse Kits and Growing Racks, you can grow and nurture your own plants, vegetables, fruits, and herbs, enjoy tropical plants year round, and protect your favorite outdoor plants from damage by frost and cold weather. 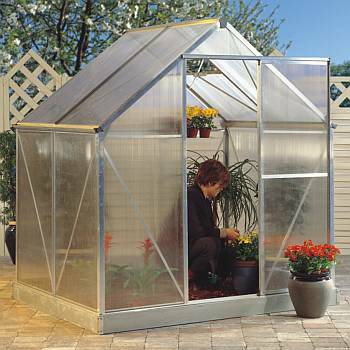 The greenhouse creates a warm, friendly, and quiet escape for you to enjoy gardening to the fullest, no matter what the climate is outside. 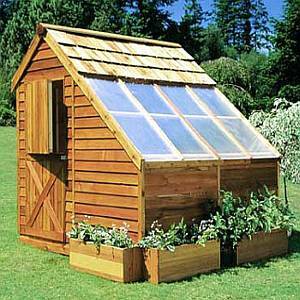 Gardening has many benefits aside from a beautiful yard and delicious home-grown vegetables, fruits, and herbs. One of these benefits is stress relief. Many Americans suffer from too much stress, and our health can be jeopardized as a result. 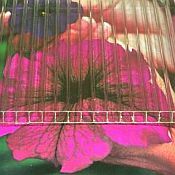 Gardening offers us the opportunity to slow down and appreciate the natural rhythms of life, thereby allowing us to release stress and feel more at peace. 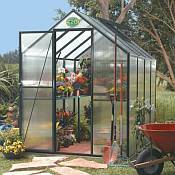 Greenhouses allow us to reap the healthy benefits of gardening all year long. 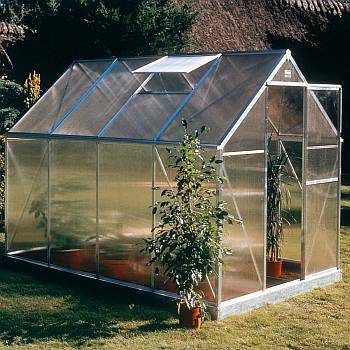 Our Starter Greenhouses can be assembled quickly and easily and dismantled for storage when you don't need them. 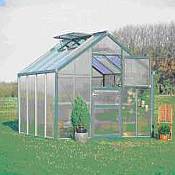 Portable greenhouses feature a dark green painted steel structure and one of the most durable plastic film coverings available. 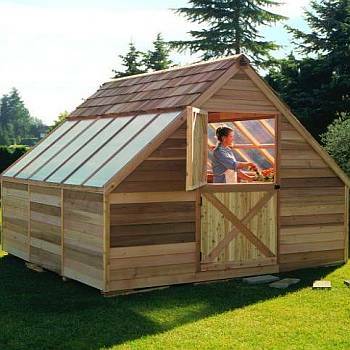 Kits also include a built-in door and screened-in ventilation windows. 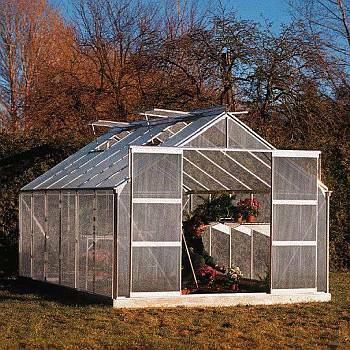 Read more about Hobby Greenhouses in this informative article. 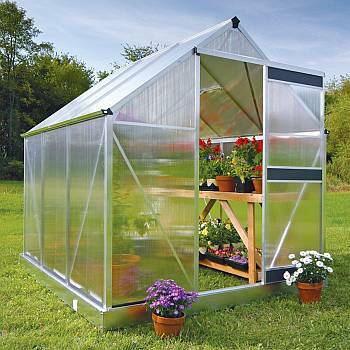 Learn more about Greenhouse Ventilation and other Garden Tools and Tips. 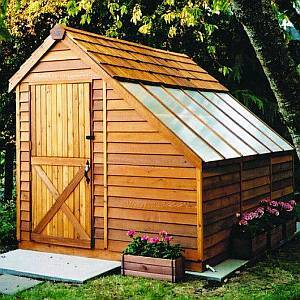 Need help installing your foundation or building your greenhouse? --> FIND A CONTRACTOR!